Back in late October, The Archivist of the United States (AOTUS) Blog discussed the plans for transforming the agency (the National Archives) to become a more open, transparent, participatory, and collaborative agency. 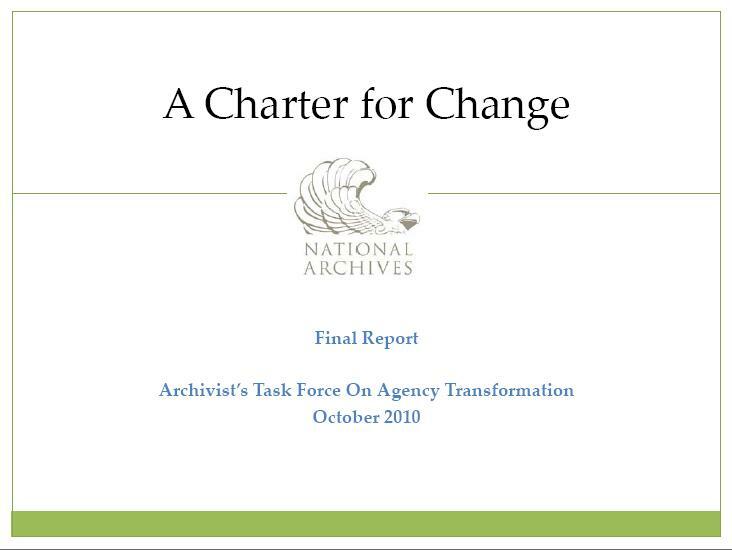 A task force was charged to draft a plan for the agency’s transformation. 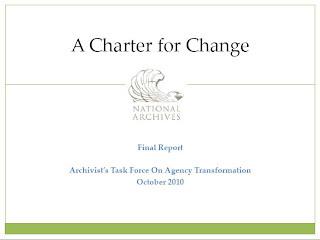 The final report, A Charter for Change, is now available for the public to view. to Work: Transform NARA into a great place to work that trusts and empowers all of our people, the agency’s most vital resource. 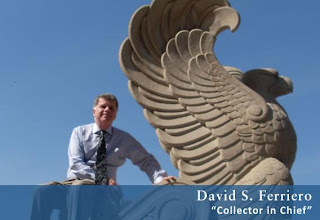 Comments on the plan are welcome and may be left at the AOTUS blog. UpFront with NGS -- What we let you know about! Who Doesn't Like a Movie?